Does anyone know the context of this quotation? I’m not sure of the provenance of this quotation – suspect it was something to do with the 1st Constitutional Convention in 1891. Would be grateful if anyone can tell me the context of this quotation, and any other information about it. I suspect that the civic powers that be in Brooklyn did not want to include the ‘glory of the British Empire’ in their little monument to Federation? Michael also pointed me to a good summary of Samuel Griffith’s role in the 1891 Convention. I’ve just finished reading these three books. They have each helped me to make some sense of our current global economic situation and to consider what actions we can take in response. Predictably Irrational: The Hidden Forces That Shape Our Decisions by Dan Ariely. This book shows how we are not rational thinkers like the economists have assumed for all their models. Instead it shows how we tend to behave irrationally in a predictable fashion. The Black Swan: The Impact of the Highly Improbable by Nassim Nicholas Taleb. He talks about a “black swan” as an extremely rare, improbable event (like 9/11) that cannot be predicted and is outside our vision, yet has catastrophic impact. 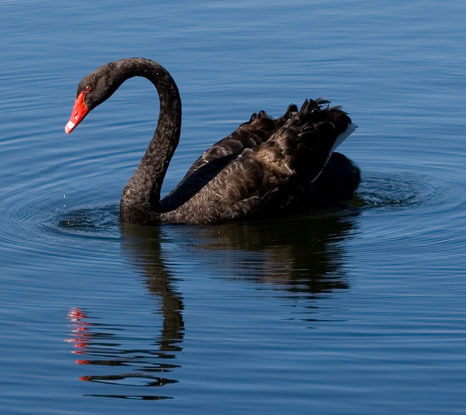 Taleb discusses the role of “black swans” and risk. This book is extremely prescient of the “shadow banking system” that finally triggered the global credit crisis. BTW I left a copy of this one in Paris as a Bookcrossing. Hot, Flat, and Crowded: Why We Need a Green Revolution by Thomas L. Friedman. He argues that America needs a green revolution create new sources of power and maintain its status as a global power. This is a theme that Obama has talked a lot about since his election. My summary is that we need a green revolution to innovate our way out of disaster and we need the US to step up and take a leadership role. Each of these books challenges existing world views and is worth reading. It seems that we need to start thinking about the world in different ways. The ways that we have viewed the world in the 20th century have not led us to nirvana but to the edge of disaster. Instead we need to find the courage to face up to the challenges of the 21st century in positive, world and life affirming ways. Is too much choice good for us? 1. Pay your bills by the due dates and avoid late payment penalties – about $10 on utility bills and far higher for credit card bills. 2. Reduce electricity bills the old-fashioned way – use blinds to keep your house cool in summer and block draughts in winter. 3. Compare bank account fees and insurance charges – there are some fee-free bank accounts. 4. Use your own bank ATMs – withdraw money when you are shopping in stores using the EFTPOS facility. 5. Shop at op shops, recycle boutiques and vintage shops for considerable savings. 6. Never be afraid to ask a retailer if that is the best price they can do or if they can improve a price for cash payment. 7. Buy multi-trip tickets for public transport rather than single-trip tickets. 8. Avoid take-away foods and learn to make your own. 9. Review your pay TV watching habits and perhaps drop some channels – along with your monthly bill. 10. A financial counsellor or adviser can help you establish a household budget – many welfare agencies offer these services free for people on low incomes. Is Australia turning into a police state? How can we protect our rights? A very disturbing thing happened to a friend of mine the other day. Nick Holmes a Court, well known entrepreneur and digital media maven, saw some police activity occurring in a public place and he decided to video it on his mobile phone. The full story has been reported in Courier Mail, Techwired and Crikey – but the short version is that Nick filmed the police in a public space. The police then confiscated his mobile phone, searched it without his consent and threatened him with arrest under the Anti-Terrorism Act. Now this all sounds like something that would happen in a police state, not in a free country like Australia. But it happened in Sydney this month to a citizen who had done nothing wrong. Incidents like this remind us that we have no formal protection of our rights in Australia. In the past it was argued that our rights are enshrined in common law and that this is sufficient protection of those rights. Now we see that long held and traditional common law rights (e.g. habeus corpus) can easily be legislated away. Any other rights are open to judicial interpretation under common law or can be legislated away by Parliament. Thus the assumed rights of Australians are extremely vulnerable to attack. In Australia today our freedom is seriously at risk. We need the formal protection of a constitutional bill of rights. We need a bill of rights that cannot be attacked or diminished by politicians legislating away our rights. We need our human rights protected formally and in a way that the consent of the people is required in order to diminish those rights. More information on the issue of a bill of rights for Australia is available on the Council for Civil Liberties site. I suspect that there are constitutional experts who can explain the issues far better than I – please feel free to correct any errors in fact in comments. What is the Frugal Agenda for 2009? What are the essentials for a frugal life? That sounds like a good start on a frugal approach to daily life. What Did I Learn in 2008 & How Will I Use it in 2009? This past year has been a remarkable one for me. I’ve met so many amazing, interesting and supportive people that it is hard to count them all. Many new friendships were forged and new ideas generated. And I’m really grateful to everyone for their support and encouragement. During 2008 I had the opportunity to attend some training called The Performance Edge. This course reminded me of the power of effective goal setting and planning. In the latter part of 2008 I found that this really helped me to achieve more than I’d imagined possible. (c) expand my horizons in ways I’ve have not even thought of yet. I have long believed that wishes, while a fine thing, are not worth much unless they are backed up with positive action. 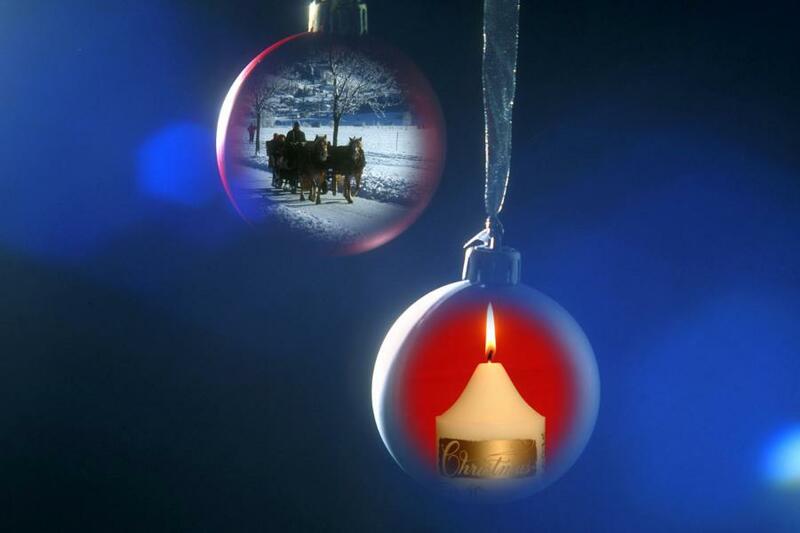 My Christmas wish this year is to live a simpler and more positive existence. Thus it is time to ask: What steps are required to achieve this goal? Do I really need all the stuff I’ve got? Is there any stuff I really need that I haven’t got? What is my action plan? Are there any lifestyle habits I need to stop or new ones to start? What is my action plan? Are there ways of thinking that I need to change so as to be more positive? What mental habits are holding me back? What mental habits are helping me? What is my action plan? I’m still working out the plans for these 3 areas, but the plans will evolve and it will be interesting to review them in December 2009.